Will Phelps is about to graduate, and we're celebrating! Commencement is Saturday, December 8, 10 a.m., in Fant-Ewing Coliseum. 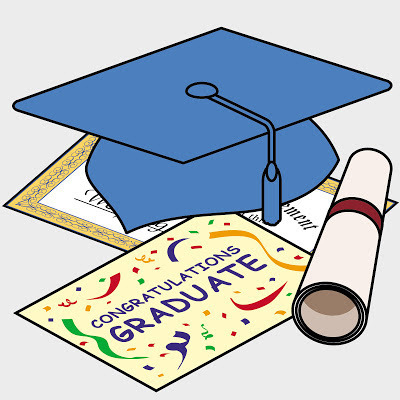 Please stop by to toast the graduate! 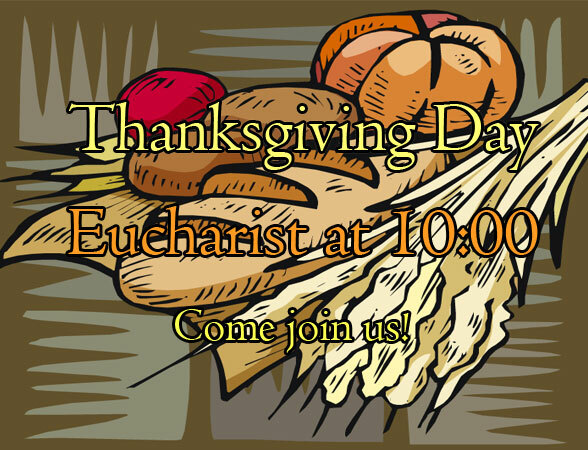 A reminder that St. Alban's will celebrate Holy Eucharist on Thanksgiving Day, November 22 at 10:00 a.m. All are invited and bring your family! On 9 November 2012 the Right Reverend Justin Welby was announced as the 105th Archbishop of Canterbury. 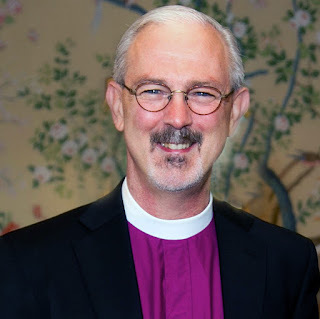 In his opening statement at Lambeth Palace, Bishop Justin said he was “astonished and excited” to be taking over from Dr Rowan Williams, who stands down as Archbishop at the end of December. Acknowledging the many challenges faced by the Church, he said it will be a privilege to lead the Church “at a time of great spiritual hunger”. The new Archbishop's Biography can be found here. My daughter Meredith plays the flute. As a music performance major, she spends hours practicing her scales and mastering music theory. Her repertoire grows year by year not only in size but in complexity and sophistication. As you might imagine, Meredith reliably hits the right notes as the ensemble moves through the score. Plenty of accomplished musicians hit the right notes. That is not what distinguishes Meredith and the very best among her peers from others. Instead, the most admired musicians thrill our hearts and stir our minds because they achieve a pleasing tone. Lesser musicians can play precisely the same notes in the correct tempo and yet, nevertheless they lose our interest with a thin or shallow tone. In both our nation and in our Church we are struggling with our tone. We seem unable to disagree without contempt, and we heap scorn upon compromise as if it were always born of the spirit of cowardice and surrender. Our proud insistence upon being right drowns out the humble impulse to submit ourselves to something greater than our own opinions and agendas. We need a new, more edifying tone. By God’s tender grace we are finding a more compelling tone in the Episcopal Church. While we will always debate ideas, we are beginning to speak to each other on the basis of something more fundamental than our differences. The Holy Spirit is reminding us that we are one in the crucified and risen Christ. Our unity in Christ gives us a common mission. Jesus himself sends us to make disciples and to serve the poor in his name. When we focus on what we have in common, our tone grows sonorous and resonates with others. The content of the Good News is too often lost because it is being conveyed by a shrill or grating voice. Keeping before us always our unity in Christ’s person and the mission he gives us, even the tone of our disagreements can draw followers to Jesus. On this first day following President Obama’s reelection, some are rejoicing and others are lamenting. 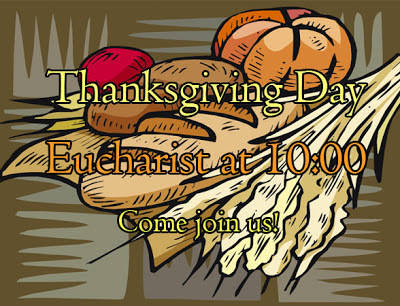 Oddly enough, we Episcopalians have a hard-won lesson to share with rest of the nation. We have discovered through bitter internal turmoil that unity is a gift. It is a gift that we must nurture or risk losing. Who we are together is well worth working for. It is fine to disagree. However, when we do so in forgetfulness that our primary calling is to deepen and to reinforce our unity, then we chance forfeiting who we truly are. So let’s be mindful of our tone. As Christians and as Americans. As followers of Jesus, we have an especially high calling. Jesus has sent us into this world to set a new tone. Daylight Saving Time ends at 2:00 a.m on Sunday, November 4, 2012. 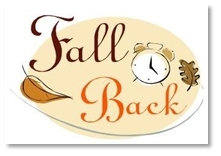 Set you clocks back one hour before going to bed on tonight, or you’ll be really early for church!